This is a die-cut Construction Engineers porcelain sign. This particular Construction Engineers sign is predominantly white with black text. 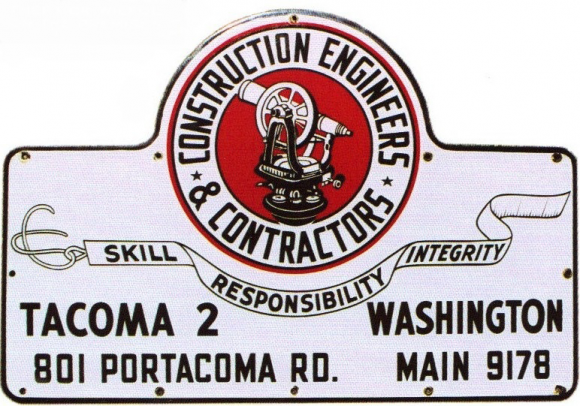 It reads, “Construction Engineers & Contractors, Skill, Responsibility, Integrity, Tacoma 2 Washington, 801 Portacoma Rd., Main 9178”.